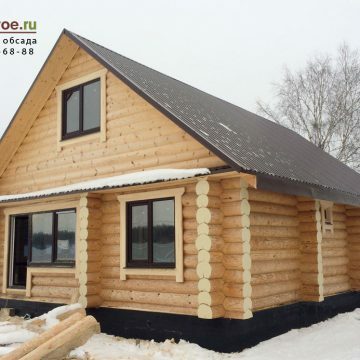 Our company started its activity in 1995 as a small enterprise for the construction of log, timber and framework houses and baths. 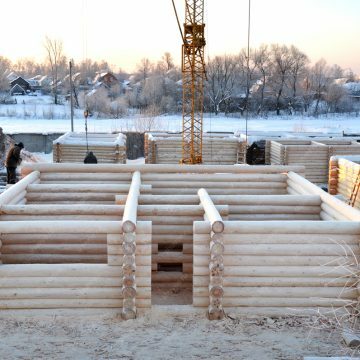 Today the specialists of our company are constructing houses and baths оf log, timber «lafet» and also of the profiled bar, using different types of wood: pine, cedar, larch and other. Vast experience allows us to perform work on all stages of construction – from the foundation to the roof. Currently the main direction of the company is the individual custom-made construction. So we try to help each client bringing his project of Dream House to life. 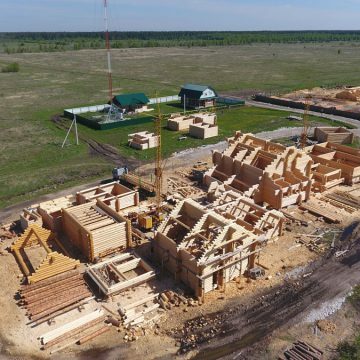 Our office, construction sites where log houses are cutting and production workshops are located in the same-name village Shuvoe in the South-East of the Moscow region. That allows you to see everything with your own eyes and personally monitor the construction process. 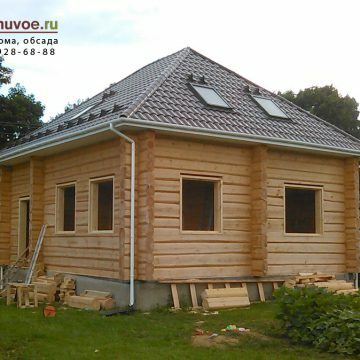 We are glad to offer you high-quality services in construction wooden houses and baths and also finishing and interior decoration! Our achievements: We have built more than 800 houses and baths and developed more than 100 projects. We work with ready-made projects, and also with individual plans, helping to bring them to life. Materials: For construction we use only high quality «winter wood» of such breeds as pine, cedar, and also KELO. 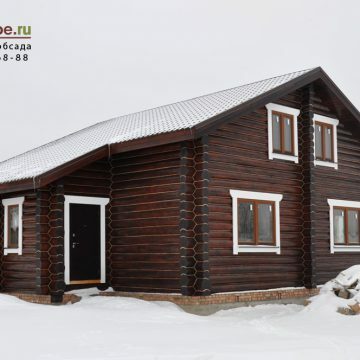 We carefully select, calibrate and handle the round wood, delivering it from such regions of our country as: Arkhangelsk, Vologda, Kirov and Gorno-Altay regions, the Komi Republic and the Republic of Karelia. So timber and other planed wood we process ourselves. Production: Our production area occupied the territory of 8 hectares and has 32 units of modern equipment. 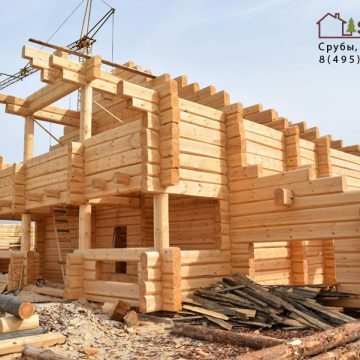 Construction sites where log houses are cutting are equipped with lift cranes. Production workshops are equipped with heavy-duty machines, circular sawmills and drying chambers of two types. The vehicle fleet includes more than 30 cars and trucks. Staff: The Company employs more than 70 workers. 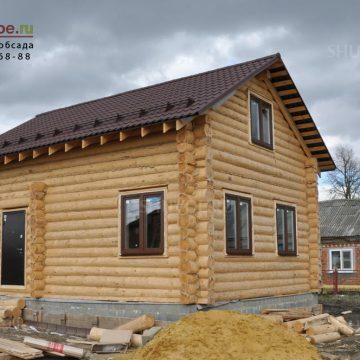 Our experts have a wide experience in wooden housing construction. 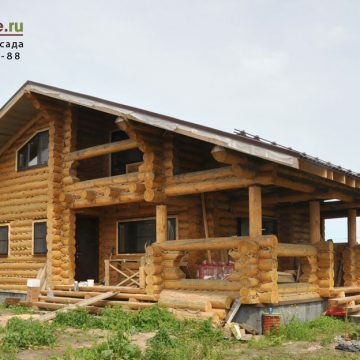 We used different types of cutting for construction of log houses — from the classic «Russian chasha» to the modern «Post & Beam». Teams of builders are constantly trained new building materials and how to work with them. 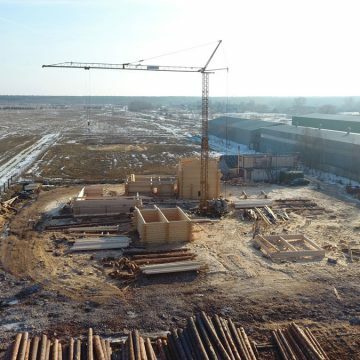 Storage: Warehouse and open areas for timber storage are also located on the production site. Planed wood is harvested in winter and used throughout the season.